At Streams for Dreams we host gaming events with the intention of raising money for charities. We find games entertaining, and we want to share that entertainment with you, but we don’t want anything back for ourselves. Our dream is just to help people with theirs. Simple, right? So we ask that you donate to the designated charity for each event so we can help them make the world a better place, one stream at a time. Raising funds through streaming is made possible through Twitch. Check out the twitch channel for Streams for Dreams to learn a bit more. Unfortunately there isn’t any streaming while events are not taking place. There is, however, an upcoming event starting on April 15, 2016. The event will start at 6 pm EST and will last 48 hours until April 17, 2016, at 6 pm EST. The event is designed to raise money for the Make-A-Wish foundation. Streams for Dreams has also started a monthly talk show that will air on the first Saturday of each month at 5 pm EST. The Streams for Dreams website has an official schedule showing all upcoming events. 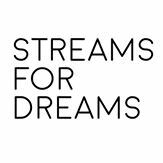 You can also check out the Streams for Dreams Facebook page for quite a bit more information, or check out and follow the Streams4Dreams Twitter account to keep up with all of the great giveaways they have in store. In fact, Streams for Dreams will be giving away a copy of Rainbow Six Siege during their next marathon stream. Let’s give some props to the Big Hearted Gamers at Streams for Dreams for doing something they love and giving back at the same time! We’ll also be giving away a ton of other things throughout the weekend as well!